Facebook has a Timeline format for its Brand pages. This timeline layout has an effect on what brands have built on Facebook in the past (i.e. applications, posts, photos and more) and how Brands can best use Facebook in the future. This layout enhances the visual branding power of Facebook by many customizable options. These Business Pages act as more of a brand narrative than a community message board and combination of a focused and more systematic layout makes it user-friendly. The main features of the Timeline are a cover photo (read more about the new guidelines here), a profile picture (preferably your logo) and an about section. The apps can be placed on the customized tabs which can then be prioritized on the page (read more about how to Promote Your Facebook Apps). 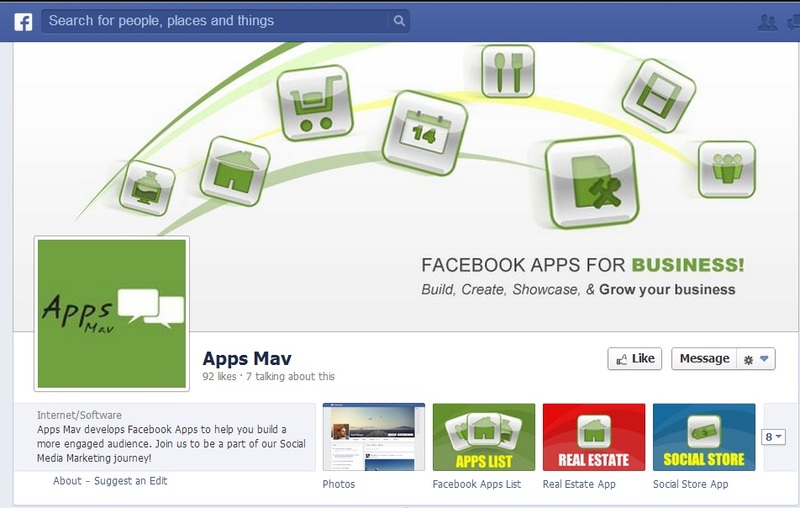 Talking of Facebook apps, do check out Apps Mav for loads of Facebook Applications that will be useful for your business marketing. Timeline for Business Pages changes how you do Facebook Marketing. In the past you just had to set up a Fan Gate on a default Page tab and you didn’t have to worry too much about content other than the marketing blasts that you would do to everyone that “Liked” you in the past. Well, that approach doesn’t work anymore and Facebook’s Timeline for Business Pages changed the game. Important: Facebook Timeline for brand pages is now all about “engagement” and “content”. Hi Akash and Team Really enjoying reading your blog and REALLY want to move the ‘side bar’ [excuse don’t have the jargon] as it overlays the content and is ‘fiddly’ to continuously scroll up and down to read the text and can’t move it?